Our specialists helped to give St Thomas Church in Cowick Street, Exeter, a cleaner, more aesthetically pleasing garden area. 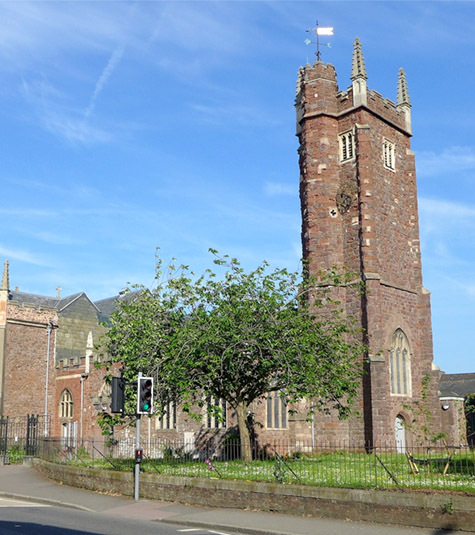 We were contacted by St Thomas Church in Cowick Street, Exeter, as they required a high quality garden maintenance service as their garden area had become overgrown and riddled with litter. Not only this, but the hedges had started to invade too far into the premises, making them look untidy. Combining our many years of experience, along with our high quality equipment, we were able to ensure a professional and reliable service was carried out to meet their individual requirements. Not only did we manage to ensure a neater looking garden area, but we also agreed on an ongoing maintenance schedule for the clients to help ensure their garden area would continue to look aesthetically pleasing throughout the year. If you require a specialist garden maintenance team to help transform your garden area, contact our professionals today and discover how we can help you.